There are buy one, get one free deals and then there are buy one, get one free deals. This is one of the biggies. We’re not talking buy one, get one espresso, coffee or tea. Oh, no. 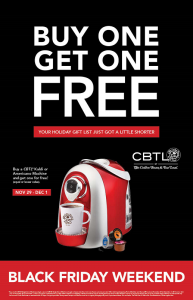 We’re talking buy one, get one espresso, coffee and tea machine. 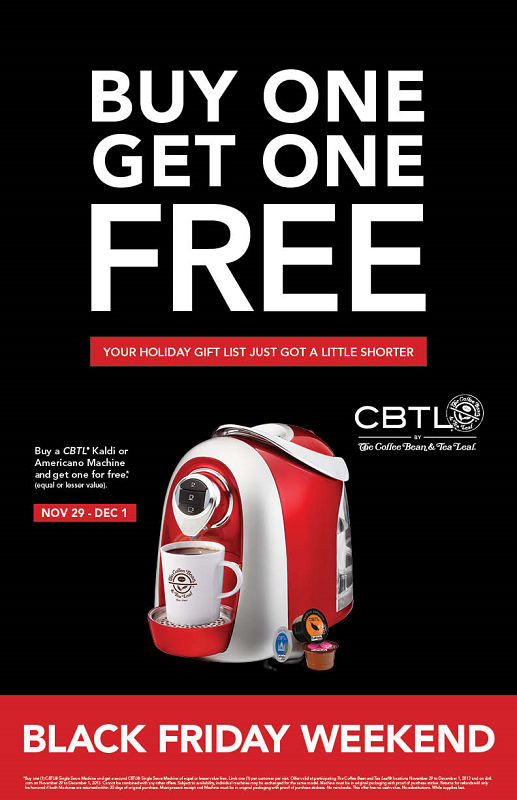 If you’ve been in the market for a single-serve coffee maker, this weekend will be your chance to purchase a CBTL Kaldi, Americano or Briosa machine for yourself, and get one to give away. Lake Elsinore’s Craft Brewing Co. is celebrating turning three next month and has invited a baker’s dozen of Inland Empire brewers to the party (and one from a little further south). The shebang kicks off at 1 p.m. (noon for V.I.P.s — more on that later) and lasts until 5 p.m. on Saturday, June 1. In addition to unlimited tastings from 15 breweries, there will be food and music. Head over the jump for the details, and a special offer if you act fast. 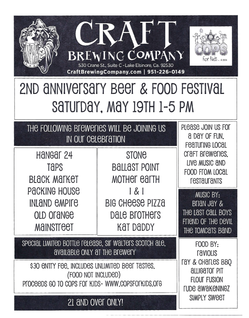 It’s a veritable Inland Empire craft brewery fest at the aptly-named Craft Brewing Company’s second anniversary on Saturday (May 19). Craft Brewing has even bottled a limited edition beer, Sir Walter’s Scotch Ale, which will be available during the anniversary party.